Kolkata Just Got It’s Second Street Library, And Another Is Coming Up! Good news for bibliophiles! Our city seems to be going all in for the street library culture with these new additions to an already thriving books scene! 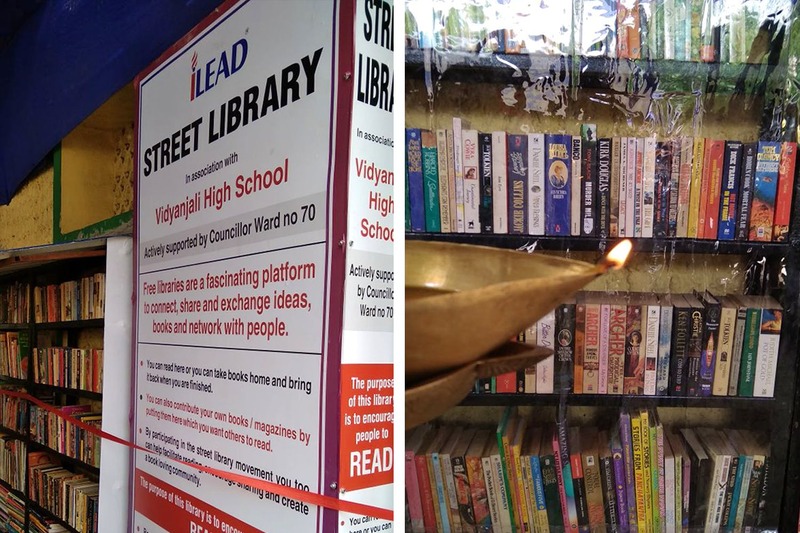 With the first street library set up in Selimpur this February (check here), all thanks to leadership and educational organisation iLead and Bichinta NGO, Kolkata now has a second one to boast about. It’s been set up in collaboration with Vidyanjali International School in Bhowanipore and will stock up around 1,500 books, including fiction, non-fiction, magazine and children’s books. Several European countries and Australia have already been making very good use of these informal libraries street libraries that are open-to-all and are set up in open spaces to make them accessible to the public. Our city is also keeping up with the street library culture because not only are we donating more books than expected, but are also borrowing books responsibly, despite there being no librarian to monitor things. And there’s more good news to add to it, folks. A third street library is opening in our city this Saturday at 6 pm in New Town’s Charnock Cooperative Housing Society (near Pride Hotel). So New Towners and Salt Lakers, line up for your fill of books.